What spot? | Watts Up With That? Sunspot 993, the first cycle 24 spot of the southern hemisphere, appeared late Saturday, and by Monday morning, the Tiny Tim spot was gone. Which is what happened to the last cycle 24 spot, which was a Tiny Tim and also quickly disappeared. Galileo, Wolf, and other solar observers of the past would likely never have seen it. So with these Tiny Tims coming and going so quickly, that begs the question; was the Maunder Minimum, Dalton Minimum and other minimums not simply a period of Tiny Tim sunspots that nobody could detect witht he observing equipment of the time? With SOHO we can see everything. Even backyard astonomers can pull out Tiny Tim sunspots with their equipment. 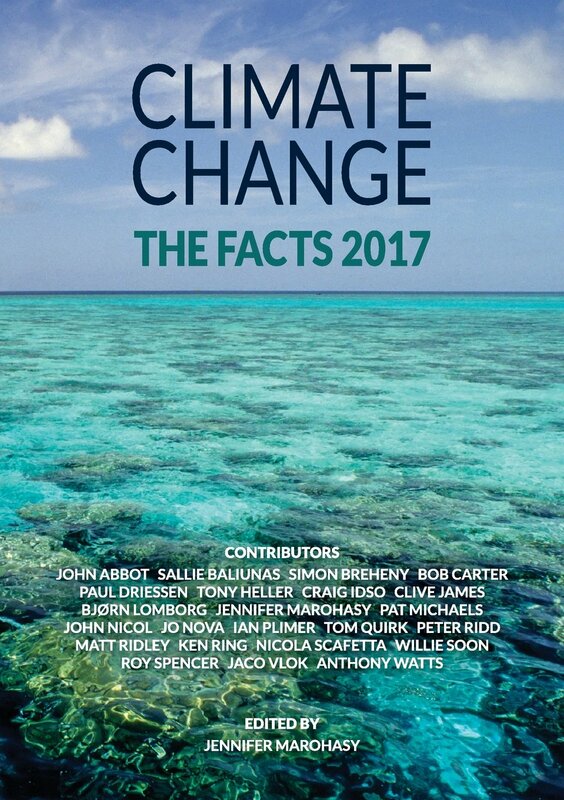 May 5, 2008 in Climate_change, Science. I have said it before and I say it again, sunspots is probably not the correct way to meassure the solar cycle. It should be an area with increased magnetic activity that have a significant effect on the irradiance in the same area. We have seen it several times, a SC24 magnetic signature but no sunspot. Currently the sun seems to have 3 active SC24 areas, except the one that produced a spot. Those 3 areas are currently much smaller than the one that produced a sunspot but still they can all 3 grow or simply disapear in the next 24h. All 3 areas are detectable in both MDI and ETI images but are sligtly easier to find in the EIT since it makes the area shine slightly brighter atm. 1 area is in the middle of the upper left qaudrant. 2 areas close to each other 1/3 above the center of the sun. Will any of those grow or are they just a shortlived weak SC24 anomalies reaching the surface? That was my May 4th birthday spot! Whee! Happy birthday to me! I’m curious about the “Tiny Tim” expression re sunspots – does anyone know where this originated? (In a solar context, that is – I know the original Tiny Tim is a character in A Christmas Carol by Charles Dickens.) Now reading The Sun: A Biography by David Whitehouse, in an effort to know more about this subject, but he hasn’t mentioned Tiny Tim sunspots so far. Anyone? REPLY: David Smith started using it to describe matginal hurricanes in a post he did for Climate Audit. The term stuck and began to get used here to describe some of the small sunspots we’ve been seeing. It’s way, way too early to answer that. Do we even know if early sunspots in recent cycles sputtered along for a while before finally erupting? We don’t have SOHO data from before cycle #23, one of the earliest I see was http://sohowww.nascom.nasa.gov/hotshots/1999_12_23/ when the sun was already 3+ years into cycle 23. I sure didn’t do monthly, let alone daily, checks to see how cycle #23 started, we need to find someone who did. Only a few people are expecting us to be entering something like a Maunder Minimum, cycle 24 will get going one of these years. And then we’ll have a record of how a sunspot cycle starts. Of course, it won’t be an ordinary start, so we’ll likely puzzle over the start of #25 too. Still no much of an anomoly. Here’s predicting the other 3.
showing a month-by-month histogram of the ’96-’97 solar cycle compared to the current one, graphing the number of no-sunspot days. It’s quite illustrative of how different this cycle is from the previous one. There’s been several posts I have had the opportunity to do this week, on different matters, where I’ve been able to make rhyming slogans, such as Soho, Bojo has Mojo, and others. Sorry, can’t resist: Soho Soho! 5 consecutive months of negative anamaly for the US according to RSS. CO2 at ML for APril is 384.52, which is 0.16 greater than March but less than Dec, January, Feb.
OF course the image I’m posting updates hourly so the spot will eventually disappear. Even so, the Sun is remarkably quiet magnetically. There a great deal of meaningless and unphysical noise in the RSS at frequencies of twelve months and less, which may reflect the fact that seasonal adjustment is not in fact feasible to the required precision – we may be seeing noise in the procedure for seasonal adjustment which is not necessarily indicative of real variations. If I simply take the twelve month moving average, I get a much smoother graph, but I worry that taking the twelve month moving average does not necessarily undo the unavoidably capricious and arbitrary seasonal adjustment. Is it possible to get the pre-adjusted data? In particular, is it possible to get the pre-adjusted data for the aqua satellite. Since Aqua does not drift, and the twelve month moving average takes care of seasonal variations, Aqua twelve month averaged data should be require less cooking. The correct word is anomaly. 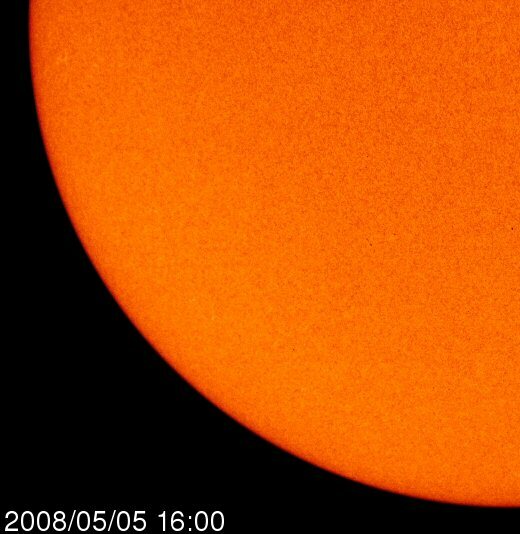 The article they link to is kind of funny, in itself, because it starts out: “March 10, 2006: It’s official: Solar minimum has arrived. 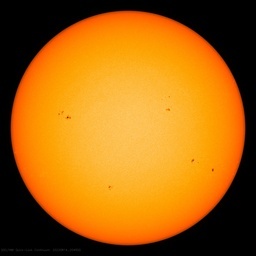 Sunspots have all but vanished. Solar flares are nonexistent. The sun is utterly quiet.” The sun has basically taken two more years off since then! 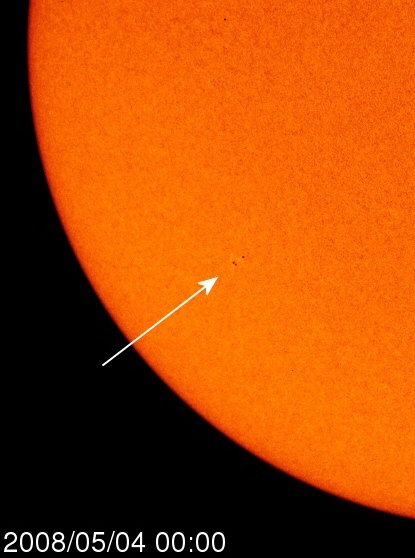 Some Norwegian reader here made the comment somewhere that these small sunspots would have been impossible to detect with the primitive instruments available during the Maunnder Minimum. Of course he’s right. The puny spots we’ve been seeing occasionally are insignificant. It’s like seeing one tiny bubble in a pot you’re waiting to see start boil. Cycle 24 has not started in my view. Hooray, someone who can spell anomaly. Good link, real interesting. Tells me these teeny tiny Tims we’ve been seeing are just really a continuation of the sun’s current big nap. If this keeps up, we’ll soon have to say the sun is in a coma. 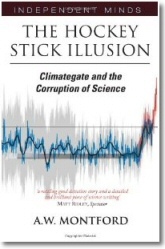 “Based on our analysis, we can say that solar fluctuations are responsible for only 1/3 of the global warming. The dominant factor is man“. I suspect Dr. Latif could soon be looking at a solar trend that he will not be able to overlook. I used the 0.080 since that was in the same column that Anthony used. I was going for consistency. I just checked the other 3 and they don’t have April yet. About Sunspots, did Galileo or Wolf have teams of people checking the instruments at least hourly to make sure no sunspots would get missed? The former two spellings would be, ahem, anomalous. Pingback: Noblesse Oblige » Enviros (come!) Out Out Damned Spot! Sometimes when it comes to cooling I get the feeling we have sceptics who are as alarmist as the AGW folks. I’m originally from Vermont – and cold aint all bad. And the temperchure onamolies aint bean that bad. Are you the Jean Meeus I think you are? I used the theories in your book to simulate the solar orbit, which really has an interesting and very complex behaviour. I wonder if the cyclic behaviour could explain solar activity…. If we apply a “Maunder minimum technology sunspot count adjustment” to the present Cycle 24 spot, to make the current counts consistent with that time, then most likely the total SC24 sunspot count so far would be zero. I think it is quite likely that solar minimum is still months into the future. Does anyone know if RSS does anything to adjust for the lack of data between -70 and -82.5? That area is known to have a cooling trend, while the +70 to +82.5 area is known to be warming. I’m not claiming any cooking of books. My understanding is that the missing data simply doesn’t exist. But regardless of WHY it’s missing, the fact that it IS missing, introduces a known warm bias. Another concern I have is the difference between temperature, and heat content. Tropical air contains considerably more water, and therefore more energy per degree, than polar air. It seems to me that joules/cubic meter, or something similar, would be a much more useful metric than temperature. I sincerely have no idea how that would alter the global “averages.” But at least the numbers would be more meaningful. Just to say many thanks for the explanation re the origins of the Tiny Tim expression! Also, can anyone recommend a good book about the sun? I’m currently reading The Sun: A Biography by David Whitehouse, would like another one to start after I’ve finished that. By eyeballing the tables, it is clear that from one monitor to the next, there are cycles measured by each (which is to be expected). It is also interesting that measurements are different depending on location (like why are Bejing’s numbers so much smaller? ), but the cycles are still there. We know that when minimum occurs, we get blasted with cosmic rays, which in theory, can create the process needed for water droplets and clouds to occur. Right now, the sun is deeply asleep with a magnetic number of 66. The length of the minimum is getting quite long, extending the amount of time we are not being protected by the magnetic shield of the sun. If cold ocean water kicks up moisture into the air (and for those readers who are warmers, also slows the increase of CO2 into the atmosphere), AND cosmic rays hit the atmosphere, in essence seeding it, and cloud cover cools the planet…? It appears that cycle 23 is still hanging on. I would imagine this flare area near the equator will send predictions again further into the future for the cycle 24 change over. I do know this, Pendleton, Oregon and Lewiston, Idaho are unusually cold for this time of year, and the private weather station in Joseph, Oregon indicates that the current temps for Wallowa County, Oregon are 23 degrees lower than this same time last year. I also saw the large rainbow like ice-crystal ring around the sun today.